If you are searching for a way to improve your smile consider Invisalign®. We offer Invisalign® clear braces here at Bagoff Dental Arts in West Orange, NJ. With Invisalign® you can correct your smile without having to deal with painful metal brackets that are all-too noticeable. Discover the benefits of clear aligners available at your dentist in West Orange. Invisalign® clear aligners resemble retainers that are used post-braces. However, you can skip having to wear traditional braces and move right into this more accommodating form of tooth alignment. Invisalign® is fitted by your dentist at Bagoff Dental Arts to make the proper realignments of your teeth. How Does Invisalign® Work to Correct the Position of Teeth? By choosing these clear aligners you are able to reposition your teeth without your treatment being noticeable like with metal braces. You will wear the clear aligners for 20 to 22 hours a day in order to gradually reposition your teeth. You can take them out when eating and brushing your teeth, which is a great improvement over the cumbersomeness of metal braces. How Does My Dentist at Bagoff Dental Arts Fit Invisalign®? You will begin your Invisalign® treatment at Bagoff Dental Arts by going for a consultation. This will include a dental x-ray and oral health history to see what needs to take place to realign your teeth. Impressions of your teeth will be used to create the proper fit of the Invisalign® mouth piece. The clear aligners are created using BPA-free plastic to ensure the safety of your oral health. You will need to get refitted for a new set of clear aligners every two weeks so to accommodate the new position of your teeth. 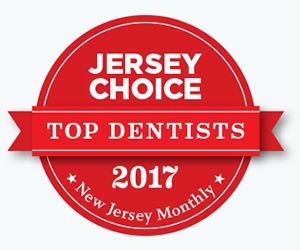 If you are ready to find an Invisalign® provider in West Orange, NJ we are here to help you. At Bagoff Dental Arts our dentists are trained with the use of Invisalign® clear aligners. We will set up a treatment schedule that allows you to correct your smile using these aligners. Contact Bagoff Dental Arts today to begin the process of fixing your smile using Invisalign® in West Orange, NJ.